Today, Warner Bros. Interactive Entertainment has sent us the latest trailer for LEGO Batman 3: Beyond Gotham – featuring Comic Officionado Kevin Smith and also the talented Green Arrow, Stephen Amell. It's definitely looking pretty sweet and with the cracking Lego Humour coming through we can't wait to embark on the adventures with the full DC crew. Also our friends at WBI have asked us to remind you about the season pass for the title. Gain access to three additional game packs, featuring new playable characters, vehicles and levels. Details about the additional content will be revealed at a later date. 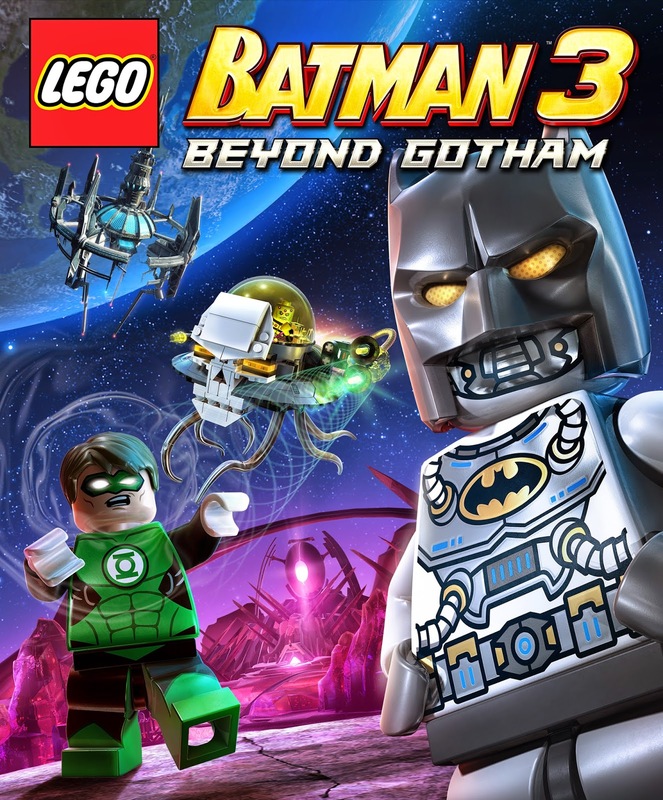 LEGO Batman 3: Beyond Gotham, the ultimate super hero game for the entire family launches on 14th November 2014 on Xbox One, Xbox 360, PlayStation 4, PlayStation 3, PS Vita, Wii U, 3DS and PC. "Research by One Poll reveals that fear of the undead is on the rise in the UK. The poll, conducted in partnership with The Evil Within’s publisher, Bethesda Softworks, showed that 27% of the population admitted that they have considered what they would do if there was a zombie attack. Some have even taken it a step further with more than 11% formulating an actual survival plan. The research polled 2000 UK adults and looked at British attitudes towards fear and evil. It's not just a zombie attack that's leaving Brits quaking in their boots. According to this research, 31% of the population believe in ghosts, 22% in aliens, and an astonishing 4% in fairies. A surprising 46% of people surveyed confessed to feeling scared on a daily basis with more than 36% of those declaring that they enjoy being scared, and therefore turn to movies and video games such as The Evil Within to entertain themselves." 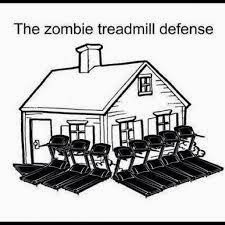 In addtion to this, we wanted to reveal that Lady Eleanor has her own plans for the Zombie Apocalypse. The world's most famous detective, as you've never seen him before! A dozen established and up-and-coming authors invite you to view Doyle's greatest creation through a decidedly cracked lens. Read about Holmes and Watson through time and space, as they tackle a witch-trial in seventeenth century Scotland, bandy words with Andy Warhol in 1970s New York, travel the Wild Frontier in the Old West, solve future crimes in a world of robots and even cross paths with a young Elvis Presley...Set to include stories by Kasey Lansdale, Guy Adams, Jamie Wyman, J E Cohen, Gini Koch, Glen Mehn, Kelly Hale, Kaaron Warren, Emma Newman and more. 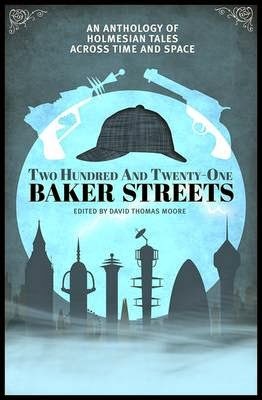 Ah a wonderful set of short stories based around Holmes and Watson in a multitude of worlds and identities. Its well written, there’s a whole host of cracking tales and when added to the fact that you can dive in for short journey’s or a lunchbreak. 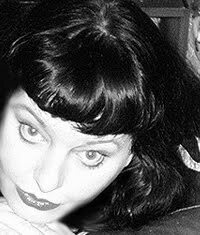 For me, I loved the sheer variety of the tales within, I enjoyed the prose, the dialogue alongside the pace which when added to cracking editing alongside the pleasure of being able to try authors that I hadn’t read before all round gave me a great experience. A pure joy. Books can take a reader to a number of different places, you can end up in the past, spend time in the future and of course you can spend time in the present with the voyeuristic attitude of getting to see get to see the people behind the curtains. Here within this book by Caroline is an uncomfortable story where we get to meet Joe, an altogether average man, apart from the fact that he’s a stalker. He’s easy to like and to be honest at times you can end up wondering how this happened. It makes you question previous held connotations as well as leaving you wondering how many people you know could also be stalkers. Its definitely quirky, it has a solid storyline behind it and whilst I spent quite a bit of time within the pages, there were parts that I wanted to speed read as I didn’t like a number of the supporting characters. All round, whilst it has a fair few flaws, its definitely a title that will make you think and that in itself is an experience and a half for the reader. 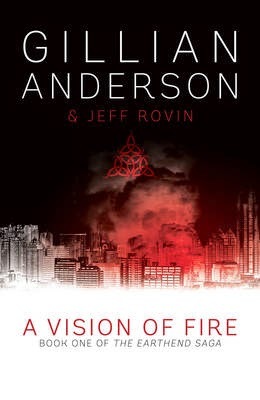 The first in a series, A Vision of Fire is the thrilling science fiction debut of actress Gillian Anderson, best known for her role as Scully on The X-Files with David Duchovny and for The Fall. Renowned child psychologist Caitlin O'Hara is a single mum trying to juggle her job, her son, and a lacklustre love life. 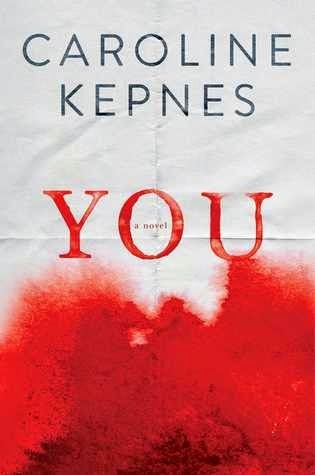 Her world is suddenly upturned when Maanik, the daughter of India's ambassador to the United Nations, starts having violent visions. Maanik's parents are sure that her fits have something to do with the recent assassination attempt on her father - a shooting that has escalated nuclear tensions between India and Pakistan to dangerous levels - but when children start having similar outbursts around the world, Caitlin begins to think that there's a stranger force at work. With Asia on the cusp of nuclear war, Caitlin must race across the globe and uncover the supernatural links between these seemingly unrelated cases in order to save her patient - and perhaps the world. Ok a different type of book and one that really relies on the authors name to help sell it. Don’t get me wrong, I liked the idea’s within, I loved the principle character however for me the execution wasn’t as good as it could have been with it feeling fairly flat and to the point rather than with any real embellishment, almost as if it had started out as a screen script rather than a story. Whilst the prose is OK and the pace acceptable, the key thing with this book it the characters, they breathe, they feel alive to the reader and when you add emotional contexts alongside personal struggles the reader is given a great experience for it. All round an OK book but not a title that demands to be read and one I suspect will sell more for the curiosity of Gillian Anderson rather than the talent within. In Middle-Earth: Shadow of Mordor, gamers take on the role of Talion, a valiant ranger whose family is slain in front of him the night Sauron and his army return to Mordor, moments before his own life is taken. 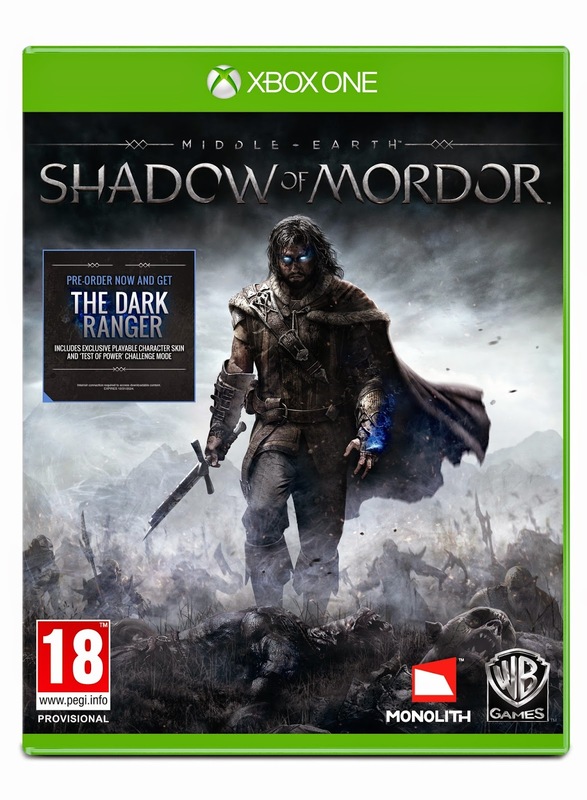 Resurrected by a Spirit of vengeance and empowered with Wraith abilities, Talion ventures into Mordor and vows to destroy those who have wronged him. Through the course of his personal vendetta, Talion uncovers the truth of the Spirit that compels him, learns the origins of the Rings of Power, and ultimately confronts his true nemesis. Every enemy that players face is a unique individual, differentiated by their personality, strengths, and weaknesses. Through the Nemesis System, enemy relationships and characteristics are shaped by player actions and decisions to create personal archenemies that remember and adapt to the player and are distinct to every gameplay session. 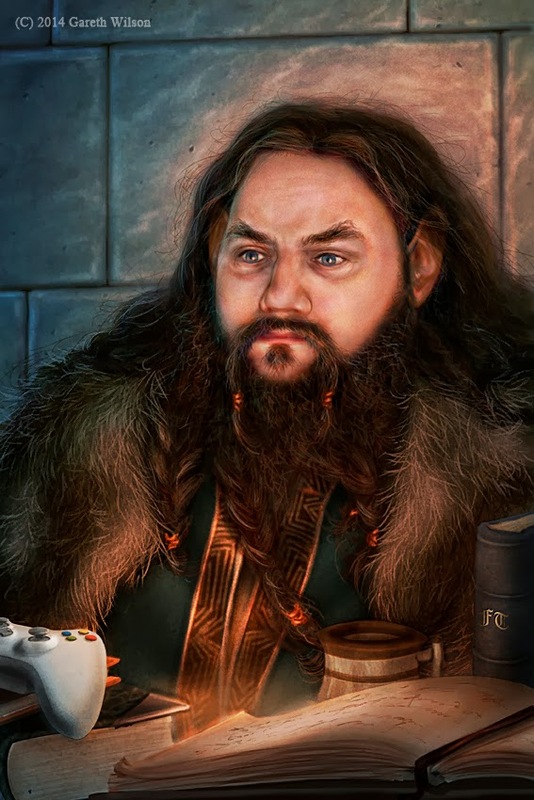 Gamers are able to craft their own battles, enemies, and rewards within the dynamic world, which remembers and adapts to their choices, delivering a unique experience to every player. OK, I’ve a person who over the last few years has spent days in the Lord of the Rings world. Whether I’ve been trekking along with Bilbo, riding beside Aragorn or even pootling round the Lego recreation world, I’ve definitely served my time with the relative armies. Now hear for the first time, the reader gets to explore Middle Earth with a totally new tale, one that takes the side of Gondorian Ranger Talian who is stuck between life and death after being struck down by Sauron’s Necormancer. It’s definitely a dark tale and one that delves into the rich history in such a way that the gamer is in for a real treat. It’s hard hitting, has some great twists but the real kicker is in the Nemesis system where any Orc that you’ve previous met will remember your encounters complete with scars, burns etc. Add to this, a whole host of assassin like skills and all round it’s a title that will give the gamer hours of pleasure. However, whilst my review is positive, I do feel that I have to say a few things to other gamers out there. Don’t expect to be able to wade in sword blade swinging, and take out swathes of Orcs. It won’t work and to be blunt, you’ll see why you’re called Gravewalker time and again. You will die, you will be massacred and overall you won’t get very far before getting very annoyed with it. So how do you cope? Quite simply you utilise your sneak skills, you learn to carefully map out your area, to sneak around and plan your attack’s and perhaps most of all you utilise your wraith abilities. Its definitely a game that you’ll have to spend time getting to know, it’s a title that you’ll have hours of careful manoeuvring and overall it’s a title that will give you a lot of frustrating situations but the payoff when you do manage to negotiate and take out your targets will be a huge rewarding feeling. Great stuff. Sunday Times bestselling author Kelley Armstrong captivated readers with her Women of the Otherworld series of supernatural thrillers. In this new anthology, favourite characters return in stories of drama, danger and desire. Legendary werewolf partners Elena and Clay stalk the pages of this book, along with vampires, witches, half-demons and sorcerers. Filled with fan favourites and rarities, Otherworld Nights concludes with a brand-new novella, 'Vanishing Act'. This thrilling longer story is set after series finale 13, and features much-loved characters Savannah and Adam as they begin a new life - and a mysterious new case - together. I’ve been a huge fan of Kelley’s for quite a number of years and whilst she’s always made it to the top of my TBR pile when a new title landed she has written some short stories that I haven’t had the pleasure to read as either I wasn’t aware of it being released or it was in a foreign release that I’ve not been able to get hold of. So as a reader I’m always happy when an author releases a compendium of the short stories that they’ve written as it means you don’t have to worry about either tracking down way overpriced limited edition multi-author releases or that you’ve spent a lot of money for just the one story. Here Orbit have compiled a number of her short stories in the first volume and whilst there has been a short tale compendium before, this one is part of a trilogy (if memory serves correctly) that will bring them altogether in a must own series. 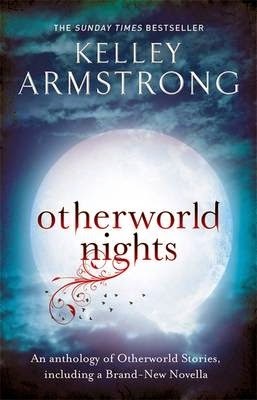 All round it’s a great book to dip into for journeys or lunch breaks and coming from Kelley (and focussing on her Otherworld tales) will give the reader the chance to spend more time with some of their favourite characters. Great stuff. A cabinet of magic! A cavalcade of wonder! A collection of stories both strange and wondrous, of tales filled with wild adventure and strange imaginings. 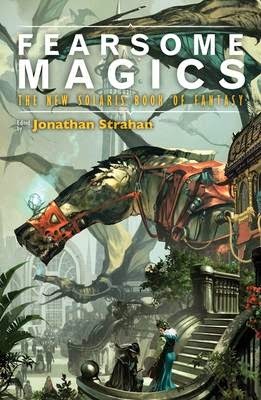 Fearsome Magics, the second New Solaris Book of Fantasy, is all these things and more. It is, we think, one of the best books you will read all year. Award-winning editor Jonathan Strahan has invited some of the best and most exciting writers working in fantasy today to let their imaginations run wild and to deliver stories that will thrill and awe, delight and amuse. And above all, stories that are filled with fearsome magic! 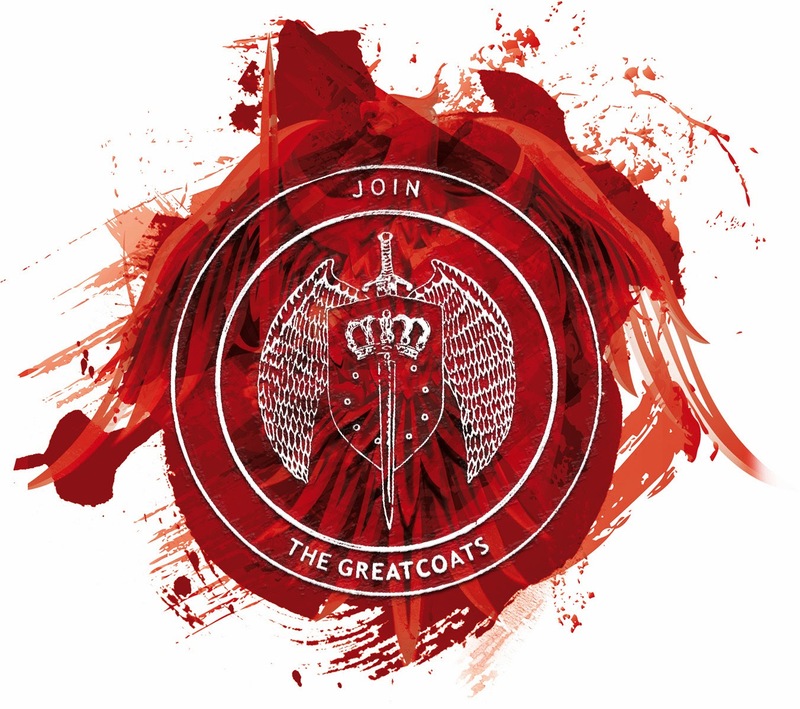 Authors include Garth Nix, K.J. Parker, Justina Robson, Ellen Klages, Christopher Rowe, Isobelle Carmody, Tony Ballantyne, James Bradley, Karin Tidbeck, Nina Kiriki Hoffman, Frances Hardinger, Kaaron Warren, Genevieve Valentine and Robert Shearman. 1) Its nice and easy to open, read a tale and put it down again so either an escape in your lunchtime or break or to help fill a short journey without panicking about missing your stop. 2) A great way to try a huge variety of authors without spending a ton of money on just the one book. What this title from Rebellion offers is a whole selection of authors who present a cracking set of stories based on a central theme. Its quite quirky to see what each one creates on that theme and with none treading the same ground it is a wonderful way to see how prose and pace can really make a tale for the reader. A real masterclass in writing. Enemies and trap-laden environments are a constant threat to your survival in The Evil Within. Check out new gameplay footage of the demented, vicious and deadly foes that lie in wait – and see how you can use observation and quick reflexes to avoid death in the latest trailer, Fight for Life. 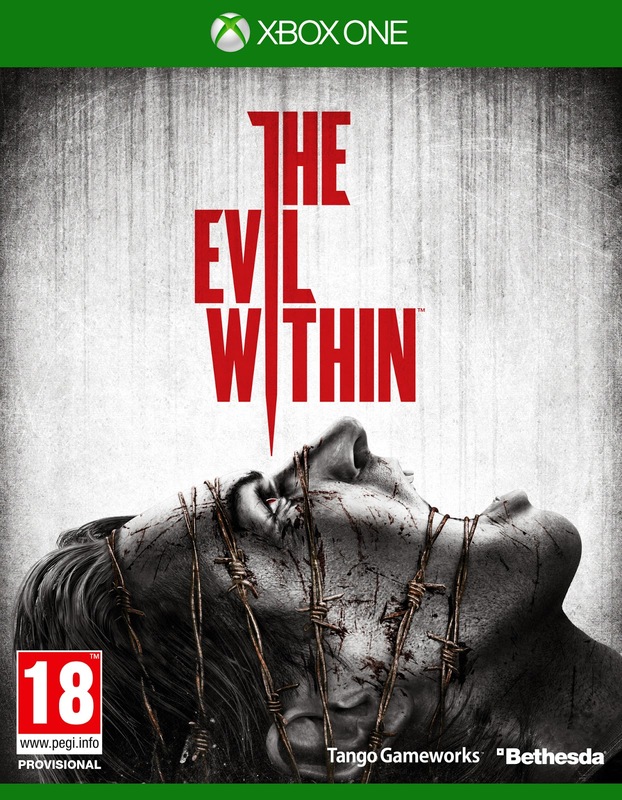 The Evil Within releases on Xbox One, Xbox 360, PlayStation 4, PlayStation 3, and PC on Tuesday, 14th October in North America and Europe, 16th October in Australia and New Zealand, and 23rd October in Japan. Jade is a seventeen-year-old mixed martial arts fi ghter. When she's in the cage she dominates her opponents - but in real life she's out of control. After she has a confrontation with a Hollywood martial arts star that threatens her gym's reputation, Jade's coach sends her to a training camp in Thailand for an attitude adjustment. Hoping to discover herself, she instead uncovers a shocking conspiracy. In a world just beyond our own, a man is stealing the souls of children to try and live forever. To be honest this was a book that was a little bit strange for me partly as I couldn’t decide it if was meant to be more of a Young Adult Review or whether it was more of an adult title due to the language within. Its quirky, it has some wonderful twists and when added to a story arc that keeps moving all round generates something that when blended with some bhuddist mythology generates a tale that was hard to put down. 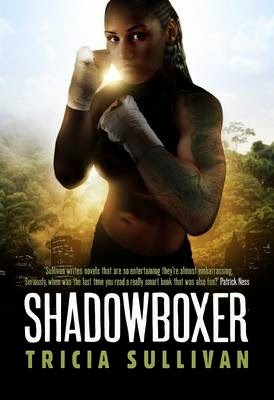 Whilst I did enjoy the book I did feel that in places the book was sadly lacking, firstly I loved Cake’s mother and felt that she should have had a bigger role rather than as a supporting cast member and was heavily underutilised considering the opinions of women within the Muay Thai world. All round a solid enough book and I’ll be keeping a careful eye on Tricia’s future releases. Three cousins inherit a gift that will transform their lives ...Iona Sheehan has just taken the biggest gamble of her life. Leaving her job, her home and her family in Baltimore, she has come to Ireland in search of adventure - and answers. Iona has always felt a powerful connection to the home of her ancestors. So when her beloved grandmother confesses an extraordinary family secret, she can't resist visiting County Mayo to discover the truth for herself. Arriving at the beautiful and atmospheric Castle Ashford, Iona is excited to meet her cousins, Connor and Branna O'Dwyer, for the first time. And when she lands a job at the local riding school she finds herself drawn against her will to its owner - the hot-tempered but charismatic Boyle McGrath. Perhaps in County Mayo she has found her true home at last. What Iona doesn't realise is that her cousins have been expecting her for a long time. Connor, Branna and Iona have all inherited a powerful but dangerous gift from an ancestor known as the Dark Witch. And they are about to discover that some old legends can return to haunt the present ...The first in a magical new trilogy, Dark Witch is a captivating story of love, family and destiny. 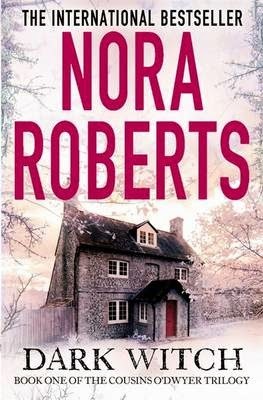 I’ve not really read Nora Roberts before and to be honest I am always a little dubious when an author puts out quite a few titles in a year. So sitting down I wasn’t expecting too much out of this book and whilst the plot felt a little like an ABC of a formula that works, I did actually enjoy it. County Mayo is brought to life with its ancient heritage, wonderful scenery alongside a haunting tale, yet having visited the County a few years ago I did end up wondering how much of the descriptive really added to the sequence from the author and how much of it was down to me knowing the area. That said, the storyline was interesting, I liked the opening, a fair bit of the dialogue as well as the pace, yet for me, where this book really failed was with the principle character Iona who I felt I didn’t really know enough about or had a good enough grasp of her to really get behind the events that were effecting her life. All round a mediocre book and whilst I had fun with it, there wasn’t much to stand out and shout read me to the average reader. Perhaps established fans will be a lot happier.